When the 49ers made the trade with the Chicago Bears two years ago to move back one spot, there was some sense of mystery in the team&apos;s draft room. The 49ers were not sure if the Bears were going to select the player the 49ers would have taken in that spot. Team executive Paraag Marathe figured the Bears were targeting Mitchell Trubisky because he felt it was unlikely a team would pay the price to move up that high in the draft to select a player at a position other than quarterback. Chicago Bears tight end Zach Miller announced his retirement on Tuesday, 18 months after he suffered a horrific knee injury. "The time has come to move on from playing the game of football," Miller, 34, said in the post. "It has been an incredible journey for myself and my entire family and we can&apos;t thank you enough for your continued support. It&apos;s OK if we give other NFL quarterbacks more than a minute or two to find their way. Especially those who might have been stuck as a rookie with a horrible team and worse coaching staff, then had to learn a very complex offense in Year Two. In other words, it&apos;s too soon to know what the Chicago Bears have in Mitch Trubisky. As Bears report for offseason program, how will Matt Nagy handle change at Halas Hall? originally appeared on nbcsportschicago.com Fourteen weeks after cleaning out their lockers following their brutal playoff loss to the Philadelphia Eagles, Bears players will return to Halas Hall on Monday for the beginning of the team&apos;s offseason program. Coach Matt Nagy said he expects full participation from players in the coming weeks, which will culminate in three rounds of OTAs in May and June as well as a veteran minicamp June 11-13. 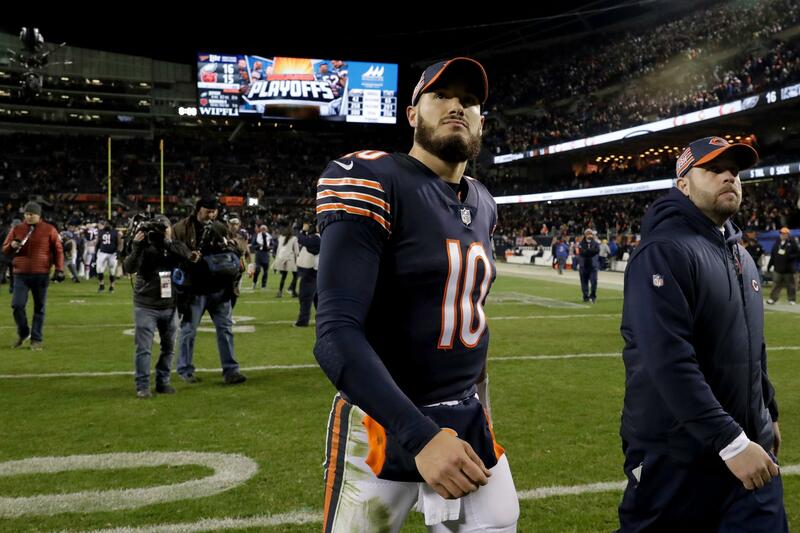 Posted in Chicago Bears | Comments Off on As Bears report for offseason program, how will Matt Nagy handle change at Halas Hall? When Chicago Bears general manager Ryan Pace said that kicker would be a “position of emphasis,” he wasn&apos;t joking around. The Bears are pushing their positional battle to the limit by bringing in a third kicker, this time out of the Alliance of American Football: Elliott Fry. 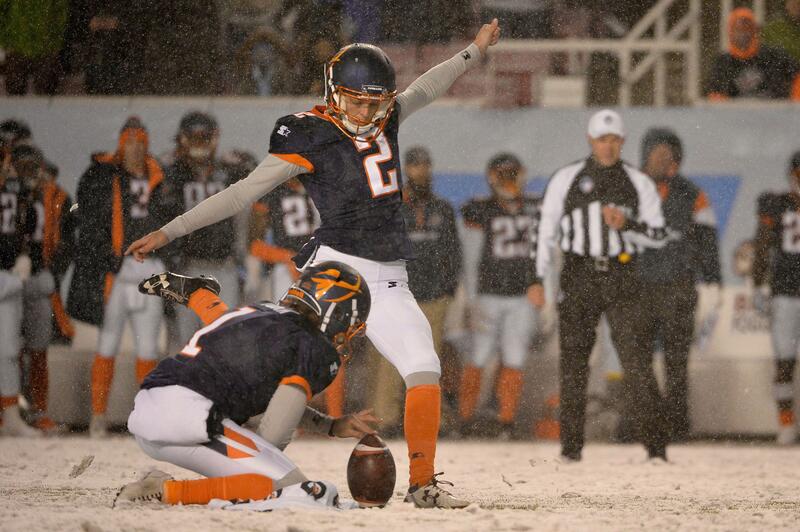 The search to replace embattled kicker Cody Parkey apparently cannot be too wide. The Chicago Bears have signed Elliott Fry, adding another kicker to the mix to replace Cody Parkey. The move announced Friday makes Fry the third kicker signed by Chicago this offseason along with Redford Jones and Chris Blewitt. Neither has kicked in an NFL game. Bears sign AAF kicker Elliott Fry to add to competition originally appeared on nbcsportschicago.com The Bears are getting in on the hottest new trend in the NFL - signing players from the now-defunct Alliance of American Football. After bringing in AAF kickers for a tryout earlier this week, general manager Ryan Pace decided on Elliott Fry, signing him to a three-year contract. Fry went 14-of-14 on his field goal attempts with the Orlando Apollos, the longest of which was 44-yards. Christian Wade&apos;s dream of becoming an NFL star moved one step closer on Monday, when he signed a contract with the Buffalo Bills. The former Wasps and England wing joins the league through the International Player Pathway Program, which allows four teams every year to carry 91 players on their roster through the offseason - one from abroad - rather than the regular 90. Wade, who quit rugby to pursue a career in the NFL last year, will now have an opportunity to make the Bills&apos; final 53-man roster for the season.